A short glide on skis from the lifts, kindergarten, ski school and nursery slopes, a 250m walk from the ski shop, bars and restaurants in Nasserein and a 10 minute stroll into the heart of St Anton. We have responded to your cries for a St Anton chalet and rustled up a little gem. In fact, not just one gem but two. Haus Gamskar and neighbour, Haus Hochkar, are only a short slide on skis to the main Nasserein lift, nursery slopes, ski school and kids kindergarten. If you are going to travel hundreds of miles from the UK to ski, you might as well travel an extra few hundred yards and stay close to the slopes. Haus Gamskar has been painstakingly tailored to satisfy the modern-day skier. No cheesy Alpine kitsch here, just warmth, comfort, space and a cracking location. Big bedrooms, smart bathrooms (including heated walls behind the towel rails … clever eh), a jumbo living area and stacks of hot water. The bars and restaurants of Nasserein are a quick toboggan ride or few hundred yard walk away and the infamous Tom Dooley's Bar is next door but one. For the more adventurous, the seductive buzz of central St Anton nightlife is a ten minute stroll away. A great choice for those who like the click click of bindings a few steps from the door. Double/Twin with additional bed, balcony, en suite bath, hand basin and WC. (Additional bed at half the adult price). Space for cot. Double/Twin with balcony, en suite shower, hand basin and WC. Space for cot. Double/Twin with en suite shower, hand basin and WC. Space for cot. We update Haus Gamskar's details often, but facilities do change. e.g. some extras listed by the supplier as "free" or included might only be for the first time you use them, or for one time per party, then charged for further use. If any specific feature is essential to your holiday, make sure you ask us to confirm the details of it before you book your holiday. This package holiday to Haus Gamskar in St Anton, Austria departs Sunday 8th December 2019, for a 7 night stay on a "catered chalet" board basis. A local tourist tax (Taxe de Sejour or Kurtaxe) is levied by many councils in European ski resorts. It varies by standard and type of accommodation and is age dependent, so not everyone is charged. It's not included in the basic price of your holiday and is usually paid locally. For reference, the average charged in winter 15/16 was between 50p and £2 per person, per night. Austria's snowsport capital, St Anton in the extensive Arlberg circus of the Tyrolean Alps has every level of ability covered (including the most exhilarating white-knuckle terrain). Stunning alpine scenery and world famous après ski make St Anton an international "top ten" destination for its' immense skiing, incredible views and intense partying. St Anton lift pass price last reported as €228 (adult 6 day). Ask for a quote when booking Haus Gamskar. St Anton has NSEW facing slopes. VIP CLUB Fritz St Anton Austria, Gatwick to Friedrichshafen 8th December. Haus Hochkar St Anton Austria, Gatwick to Friedrichshafen 8th December. "Relaxing holiday in St Anton with friends"
We had a great time in St Anton and enjoyed our stay in Haus Gamskar. Whilst the snow conditions were challenging due to the time of year, we loved our week here. The ski guiding by Leo and Callum was very good. The chalet staff were very cheerful and accommodating, especially Gavin and Alistair with their displays of fruit carvings on the cheese boards! Whilst the food was good, having been on holiday with this chalet company the last few years, it would have been good to have more variety and not see some of the same dishes from previous years. We also felt the breakfast options were quite limited e.g. Plain omelette only, no option of filling. Tim was excellent, very professional and attentive. We asked for local bread rolls for breakfast (which should be standard given how nice and local they are) and they were there the next day and subsequent days, he also sorted out ski lessons and meals, and phoned to inquire of well-being when one of the party injured his thumb - much appreciated! 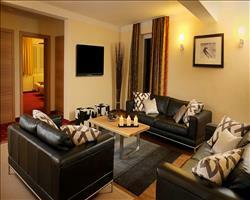 Excellent spacious accommodation with great layout for a group. Staff very welcoming. Appreciated the cheese board, crackers would be appreciated alongside the bread. Good choice of wine. Surprised at lack on canapés each day as seems standard with other companies. Wake up tea/coffee welcomed. Cakes for afternoon tea were amazing! Very nice accommodation although I would have picked different carpets and curtains! Gavin and Izzy did a great job - food and general care of great standard. The place was spotless and Gavin took great pride in the food. It was only the second week of operation so some things needed to be ironed out, e.g. We didn't have a Tv remote for the week and the DVD remote didn't work which was annoying. Also, would have been helpful if they told us that the 3 year old ski lessons were not based at Nasserein or provided travel of some sort to get to and from the lessons there. Apartment was very cosy and spacious - would happily return! 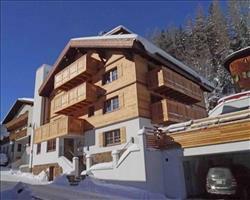 "Great holiday at nice chalet!" Lovely service from our chalet hosts and good proximity to village, just not quite ski-in, ski-out although good ski storage facilities available near the lifts. Great shuttle service and good food including some fantastic cakes.